Luciana C. de Oliveira is Associate Professor of TESOL & Applied Linguistics in the Department of Arts and Humanities at Teachers College, Columbia University. Dr. de Oliveira teaches TESOL methods courses to prepare teachers to work with English language learners (ELLs). Her research focuses on issues related to teaching ELLs at the K-12 level, including the role of language in learning the content areas; teacher education, advocacy and social justice; and nonnative English-speaking teachers in TESOL. Her work has appeared in Teachers College Record, Journal of Teacher Education, Teaching Education, English Education and The History Teacher, among other journals. genre-based writing pedagogies, systemic functional linguistics, teaching for social justice, and Appalachian studies. He currently teaches courses in cultural rhetoric, language and style, and first year composition. This volume provides the most recent scholarship using a theory of genre emerging from Systemic Functional Linguistics. It describes both theoretical and practical applications of a language-based curriculum from elementary through to university level within a U.S. context. While there are other genre-based pedagogies in the U.S., SFL-based genre pedagogies illuminate the importance of language and linguistic choice within the curriculum, aiming to make these choices explicitly understood by scholars, teachers and students. Each chapter shows how this pedagogy can be adapted and used across many different disciplines and student age groups. This volume will be of interest to postgraduate students and scholars of functional linguistics, discourse analysis, educational linguistics, genre studies and writing theory and pedagogy. This volume provides the most recent scholarship using a theory of genre emerging from Systemic Functional Linguistics. 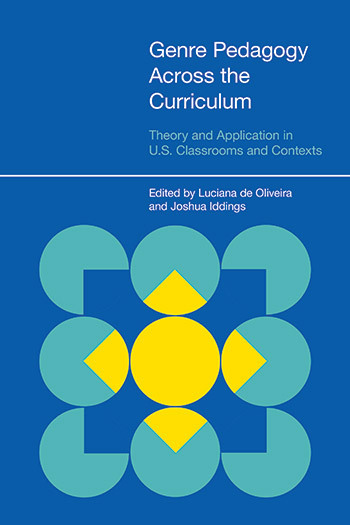 It describes both theoretical and practical applications of a language-based curriculum from elementary through to university level within a U.S. context. While there are other genre-based pedagogies in the U.S., SFL-based genre pedagogies illuminate the importance of language and linguistic choice within the curriculum, aiming to make these choices explicitly understood by scholars, teachers and students. Each chapter shows how this pedagogy can be adapted and used across many different disciplines and student age groups. This volume will be of interest to postgraduate students and scholars of functional linguistics, discourse analysis, educational linguistics, genre studies and writing theory and pedagogy. 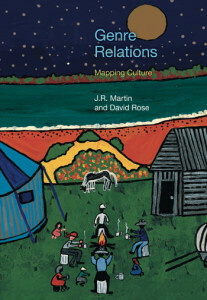 This volume provides the most recent scholarship using a theory of genre emerging from Systemic Functional Linguistics. It describes both theoretical and practical applications of a language-based curriculum from elementary through to university level within a U.S. context. While there are other genre-based pedagogies in the U.S., SFL-based genre pedagogies illuminate the importance of language and linguistic choice within the curriculum, aiming to make these choices explicitly understood by scholars, teachers and students. Each chapter shows how this pedagogy can be adapted and used across many different disciplines and student age groups. This volume will be of interest to postgraduate students and scholars of functional linguistics, discourse analysis, edicational linguistics, genre studies and writing theory and pedagogy. in the freshman writing program at Boston College and is Associate Director of the Writing Fellows program which supports the university’s Writing across the Curriculum initiatives. Her research interests include working with bilingual, immigrant students in the areas of academic reading and writing. The formation of clause complexes, i.e. combination of more than one clause, and the logical-semantic relations between the clauses in these complexes is one aspect of the written language that changes as students progress in their ability to write. This study analyzed students’ text to understand how children use language resources to create logical-semantic relations when constructing clause complexes in a variety of genres. The writing of students grades 4 through 8, showed two patterns. One is the use of “and” as a default language resource to make connections between clauses, not only to denote the expected additive enhancement but temporal and causal relations. The other is the increasing variety of types of relations and language resources they use as they mature and are given opportunity to write in a variety of genres. Hunt (1965) argues that children by 4th grade are able to construct the various types of clause complexes although they do so infrequently. Therefore, writing instruction should include explicit instruction to provide the language resources the students need to express various logical-semantic relations they want to express. In addition, much of this learning will emerge naturally by giving students opportunity to write in a variety of genres across subject areas. studies the role of language in learning with particular attention to the needs of English language learners, and she draws on systemic functional linguistics to identify the demands of teaching and learning in different subject areas. She is the author of The Language of Schooling (Erlbaum, 2004) as well as other books, journal articles, and book chapters. She is currently involved in a three year project to develop a functional grammar approach for elementary school teachers and English language learners. earned an MA from the University of Virginia. His research explores ways in which a functional approach to language can support English language learners’ disciplinary reading and writing in the English Language Arts. doctoral studies, she taught sixth grade Language Arts and Literature in New Mexico, and subsequently earned an MA in Teaching and Learning at the University of Michigan’s School of Education. She is interested in language and literacy, with a focus on the written development of academic language and bilingual education research. Catherine L. O’Hallaron is a postdoctoral research fellow at the University of Michigan’s School of Education, where she earned her PhD in Literacy, Language, and Culture. Her research interests include linguistic approaches to studying English learners’ writing development and the use of functional linguistic pedagogy in enhancing teachers’ writing instruction. Educational Studies at the University of Michigan. Her research focuses on the design of learning environments that support self-regulation in learning activity, especially for children who experience difficulty learning in school. Her book, co-authored with Linda Kucan, Comprehension Instruction through Text-based Discussion, was published in 2013.
years. With a focus on literacy and language development in the elementary grades, she is currently a research assistant on the Language and Meaning project directed by Mary Schleppegrell and Annemarie Palincsar. Systemic functional linguistics (SFL) has developed both detailed descriptions of common school genres as well as a theory for genre-based pedagogy. While these have sometimes been critiqued as rigid or static, the work presented here shows the adaptability of the SFL approach in research with primary-grade bilingual students in the U.S. Specifically, we modified a recount genre, common to reporting history and personal experience, in order to support students’ analytical responses to grade-appropriate literature. The paper first describes the features and learning goals of the context and how we presented the genre and supporting pedagogy. It then evaluates the approach, reporting evidence from student writing and classroom implementation to highlight some affordances and challenges that arose. Lastly, the paper identifies some considerations that may guide future work to implement genre-based writing instruction in other contexts in flexible and powerful ways. These include being clear about the purpose of the genre as a whole, writing prompts that support that purpose, and providing support for creating coherence across stages of the genre. systemic functional linguistics (SFL) to inform writing pedagogy, teacher leadership, and school reform. He holds a PhD from Boston College. This chapter describes changes to fourth and fifth grade teachers’ writing instruction over three years in an urban elementary school. A catalyst for this pedagogical change was a school-university partnership that embraced SFL theory. The partnership provided teachers ongoing professional development focused on fostering teachers’ understanding of SFL theory and the taught genres: recount, procedure, narrative, report, explanation, and exposition. Teachers’ lessons evolved regarding metalanguage and aspects of genre: purpose, staging, language, and tenor. Teachers’ writing instruction with students became more precise and reviewed more content associated with the genres. Significant changes regarding the teaching of genre began to occur in the second year of the partnership. However, changes to the teaching of language did not emerge until the third year and remained limited. These identified changes demonstrate how teachers operationalize SFL theory in practice to educate students about genre. Moreover, teachers’ use of the theory as a lens to understand texts appeared to support made changes to writing instruction, which became more explicit than previous teachings. Overall, findings suggest that improvements in writing instruction take multiple years and can emerge using SFL theory in the context of a genre-based approach to the teaching of writing. theory and practice and Systemic Functional Linguistics (SFL). English Language Learners are the fastest growing population in US K-12 schools today. Meeting their varied educational needs can be a challenge but also a great opportunity for core content teachers as well as for ESL teachers. This chapter describes the genre-based procedures and pedagogical principles utilized by a ESL instructor who used content-based instruction with his ELL pull out students as a way to prevent them from missing the science content they were not getting at the time of ESL instruction. This chapter demonstrates how systemic functional linguistics and genre-based methodology can be used successfully so that ELLs with developmental needs in English can also attain high levels of academic literacy in the ESL pull out context. SFL-informed pedagogies, along with creative arts-based approaches, can be used to support the cultural and linguistic interests and needs of emergent bilingual and bidialectal students in K–12 contexts. At UGA she teaches systemic functional linguistics, critical discourse analysis, and second language literacy, and is involved in collaborative action research with local ESOL teachers and students. using adolescent and traditional texts in the classroom to support critical literacy. Amber’s more recent work centers on implementing critical systemic functional linguistics and discourse analysis methods in the classroom as a way to encourage an ELA curriculum that focuses on language as a social process. Literary narratives, ranging from traditional folk tales to experimental fiction, are one of the most privileged genres in high school English Language Arts classrooms. However, rarely do teachers and students analyze how particular patterns of language (e.g. 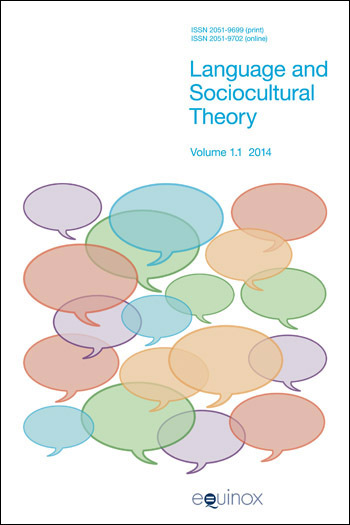 transitivity, modality) function to construct characters, settings and ideological world views in these social texts (e.g. Culler, 1975; Lukin, 2008). In this critical literary project, students were taught how to use a functional linguistic analysis to make visible the ways in which J.K. Rowling configures power relations between characters, and manipulates the reader to think and feel in particular ways. Our chapter first provides a literature review on literary narratives and their instructional potential to foster critical literacy. It then chronicles how an urban high school teacher immersed her students in an SFL analysis of the patterns of appraisal, identification and modality in Harry Potter. This apprenticeship provided students with linguistic resources to support and refute various critical readings of the narrative (e.g. related to gender, social power relations). The chapter concludes by discussing how a similar critical SFL instructional approach to this literary genre can be used to engage high school students in thinking critically about the relationship between language, power and world view. and Instruction at Purdue University. His research interests include teacher education, literacy, and technology. This chapter focuses on the types of information textbooks provide to both teachers and students in regards to writing a commonplace school genre: the book review. Textbook directions commonly place specific emphasis on important features of particular genres of writing, but are often vague and do not readily aid teachers or students. A sample book review from a well-known writing textbook will be analyzed using a systematic functional linguistics approach highlighting important findings. By using both the textbook directions and the SFL analysis, a more well-rounded and informed approach to teaching book reviews can help teachers and students master this important genre. Michael Maune is a PhD student in Literacy and Language Education at Purdue University. He has taught for five years at various levels including middle school, high school, and college. His research focuses on educational linguistics and genre pedagogy from a systemic functional linguistics perspective. research interests are second language acquisition, diversifying instruction for English language learners (ELLs) in a K–12 setting, and teacher education for ELLs. He is currently researching diversifying instruction for ELLs in a kindergarten classroom with a focus on mathematics discourse. This chapter presents genre analyses of sample writings featured in Appendix C of the widely-adopted K-12 Common Core State Standards. Our chapter will examine how student writing samples fulfill the genre expectations detailed by genre research in SFL. We examine two eighth grade texts: one informative\explanatory and one narrative as classified by CCSS. We then present a detailed Appraisal analysis as shown by the student language choices. We compare our analysis to the annotations provided by the CCSS of those same texts. Our findings showed that students used various Appraisal resources to construct evaluative meaning appropriate to the genres shown within the CCSS exemplars. As a result of our comparison, we propose how K-12 teachers may utilize aspects of the genre approach to scaffold learning in the teaching of the CCSS text types and provide resources to more effectively teach students. Deedra A. Arvin is a PhD student in Literacy and Language Education with a focus on English Language Learning in the Department of Curriculum and Instruction at Purdue University. Additionally, she works as a Test Development Program Manager at Data Recognition Corporation. Dominique Lowery Franklin is a PhD student specializing in Literacy and Language Education in the Department of Curriculum and Instruction at Purdue University in West Lafayette, Indiana. She has served as a Spanish teacher and high school assistant principal in Atlanta, Georgia, the Director of Federal Programs for the Community Schools of Frankfort in Frankfort, Indiana, and currently serves as the high school principal at Hoosier Academy in Indianapolis, Indiana. Her research interests include the influence of English language learners’ (ELLs) involvement in extracurricular activities on ELLs’ academic achievement, ELL policies for school administration, and equity and access for ELLs. This chapter analyzes and compares informational passages used in high-stakes testing in Indiana for high school students. We have selected an informational reading passage from the Item Sampler for the ISTEP+ English 10 End of Course Assessment (ECA). This particular passage is one of three examples provided in the Item Sampler posted on the Indiana Department of Education’s website. We also analyze a text from the Sample Items posted for the LAS Links Assessment, which is used in Indiana to determine English language proficiency of English language learners (ELLs). There is only one reading passage posted for LAS Links, and it is an informational passage. Therefore, for an effective comparison of the assessments, we have selected the informational passage from the ISTEP+ English 10 ECA Item Sampler rather than the story or the poem. We both have interests in the assessment of ELLs since we are directly involved with the process in our current positions. We will focus on the textual metafunction in our analysis and compare the thematic development and cohesion of both texts as we identify differences between the sample passages and implications of these differences for English Language Learners. Shu-Wen Lan completed her PhD in Literacy and Language Education in the Department of Curriculum and Instruction at Purdue University. Her research focuses on the teaching and learning of English language learners (ELLs) in elementary science classrooms. She has taught undergraduate courses to prepare pre-service teachers to work with ELLs in elementary content-area classrooms. One of the hurdles which all Ph.D. candidates must jump is the dissertation proposal. Both advisors and students may struggle to both teach and write dissertations proposals effectively. By using systemic functional linguistics genre theory as an analytical tool, we provide some concrete language features of effective dissertation proposals, which both advisors and students can utilize when teaching and learning to write their own proposals. Through an explicit discussion of their own dissertation proposals, the authors highlight those language features which best realize the dissertation proposal genre in qualitative educational research.